Meg Keneally started her working life as a junior public affairs officer at the Australian Consulate-General in New York, before moving to Dublin to work as a sub-editor and freelance features writer. On returning to Australia, she joined the Daily Telegraph as a general news reporter, covering everything from courts to crime to animals’ birthday parties at the zoo. She then joined Radio 2UE as a talkback radio producer. In 1997 Meg co-founded a financial service public relations company, which she sold after having her first child. For more than ten years, Margaret has worked in corporate affairs for listed financial services companies, and doubles as a part-time SCUBA diving instructor. She lives in Sydney with her husband Craig and children Rory and Alex. As with the other books in this series, this had some great characters and a good story. Easy to read and not too hard to follow the plot. I enjoy books about life in the early years of Australia and this was one of them. Dodgy dialogue ! The incessant references to tea, recalcitrant cutlery, the flicking of tea cloths in the direction of the main character by the second main character ! I have no time for either of them but in saying that I will see the series out to the bitter end when, hopefully, the characters will redeem themselves in my eyes ! After three novels the characters have become special and their adventures in different parts of early Australia leave you wanting to follow them to the next adventure. Some contrivance can be accepted without spoiling the story. 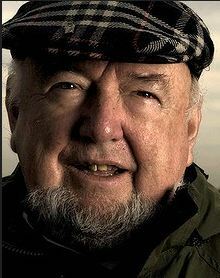 Thomas Keneally won the Booker Prize in 1982 with Schindler's Ark, later made into the Academy Award-winning film Schindler's List by Steven Spielberg. His non-fiction, includes the memoir Searching For Schindler and Three Famines, an LA Times Book of the Year, and the histories The Commonwealth Of Thieves, The Great Shame and American Scoundrel. His fiction, includes The Daughters Of Mars, The Widow And Her Hero (shortlisted for the Prime Minister's Literary Award), An Angel In Australia and Bettany's Book. His novels The Chant of Jimmy Blacksmith, Gossip from the Forest, and Confederates were all shortlisted for the Booker Prize, while Bring Larks and Heroes and Three Cheers For The Paraclete won the Miles Franklin Award. The People's Train was longlisted for the Miles Franklin Award and shortlisted for the Commonwealth Writers Prize, South East Asia division.